With Christmas only 19 days away there are many last minute shoppers looking to shop online for those gifts they can't find locally. We are pleased to announce that thanks to our 86 supporters online supporters our Easyfundraising has raised over £1900. Easyfundraising.org.uk is a great way to raise money for charities, schools, sports clubs, community groups, and other good causes just by shopping online. You don’t pay anything extra. So far they’ve raised over £10 million for causes throughout the UK. The Christmas lottery jackpot is getting ever closer to a possible £1 million jackpot and do you have your tickets. 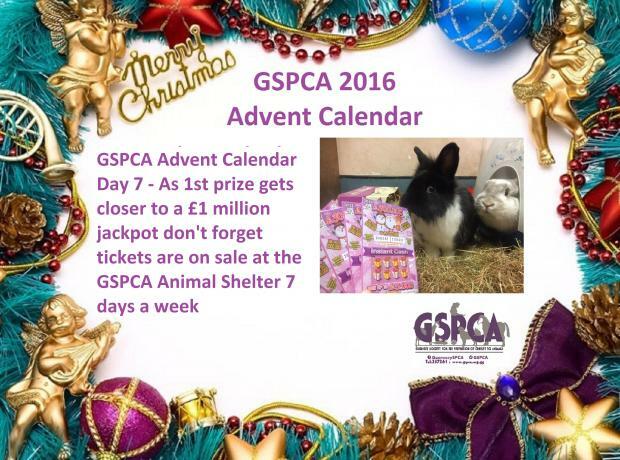 The GSPCA are once again selling the Christmas Lottery Tickets at our reception desk 9am - 5pm Monday to Saturday and this year 11am to 4pm on Sundays. With a second prize of ​£100,000​, third prize £25,000​ and Fourth prize made up of 10 prizes of £1,000 the 2016 draw will take place on Tuesday 20 December. 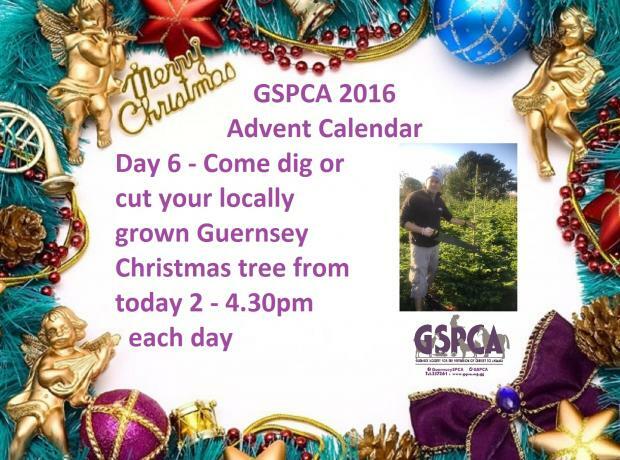 We are pleased to announce from today between 2pm and 4.30pm there are stunning Guernsey grown Christmas tree's on sale from a field still in the ground. Every day from today between 2pm and 4.30pm you can come into the privately owned field and chose your very own local Christmas tree. They are located as you drive through the traffic lights by Oatlands heading towards St Sampsons the field is a few hundred yards along on the right opposite Braye du Valle House. 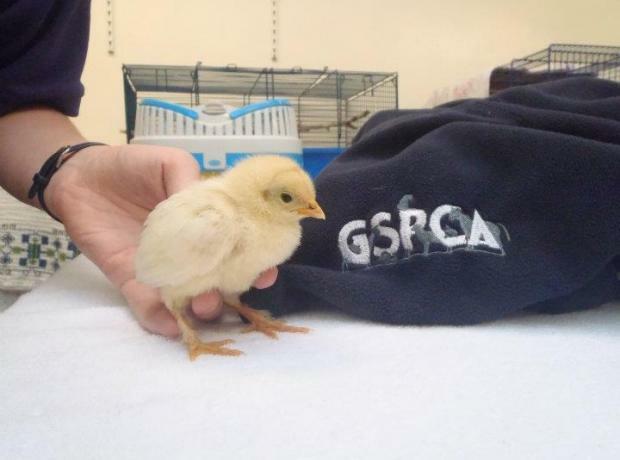 We will sign post the field so you can clearly see it and GSPCA team members will be on hand to help. With Christmas only 20 days away there are many last minute shoppers looking to shop online for those gifts they can't find locally. We are pleased to announce that thanks to our 81 supporters online supporters our Easyfundraising has raised over £1500. 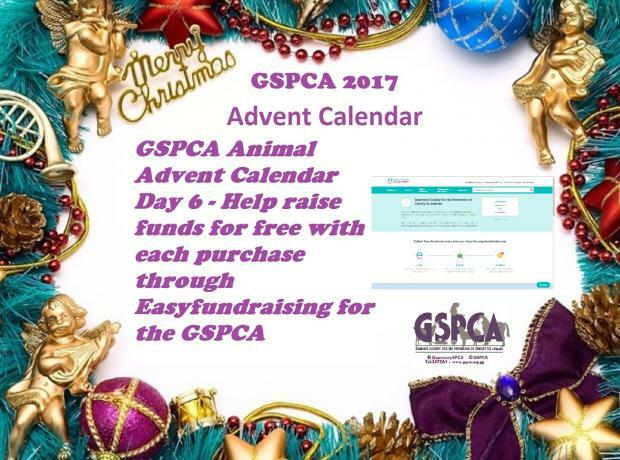 On sale at the GSPCA reception between 9am and 5pm, Monday to Saturday and 11am to 4pm on Sundays we have a limited number of GSPCA Christmas cards on sale. 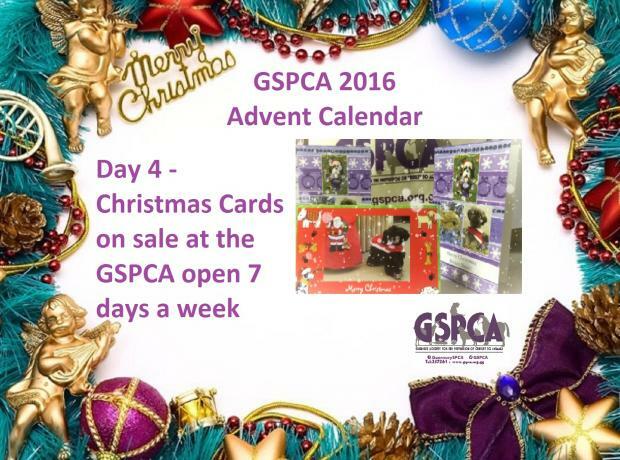 At the GSPCA we have a variety of products on sale to make a great Christmas gift. 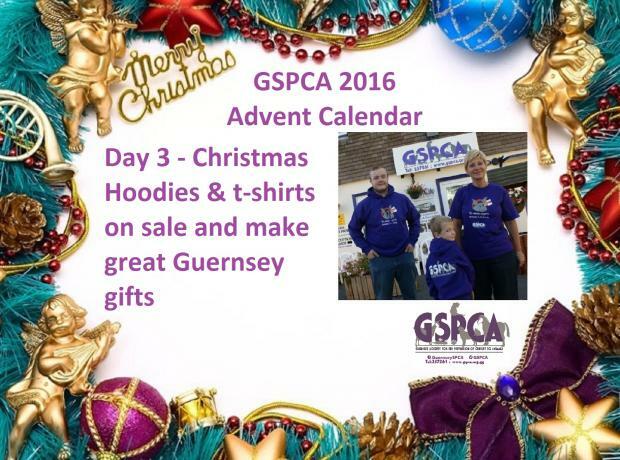 Steve Byrne GSPCA Manager said "We have a lovely range of GSPCA tops from t-shirts to hoodies on sale at the GSPCA ideal for that animal fan."